What’s summer without the perfect cocktails? 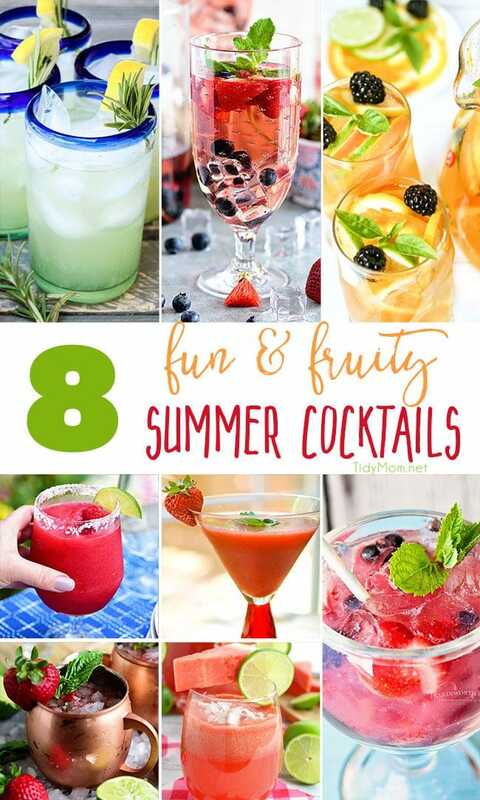 It’s definitely not the kind of summer I want to have, so that’s why I’ve gathered up some of the best fun and fruity summer cocktails. 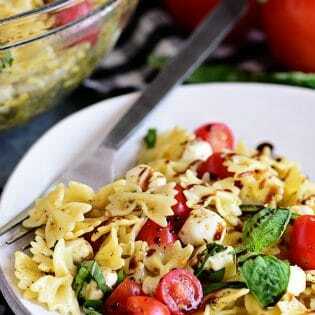 There’s no doubt that these recipes will make you want to grab a good book and relax by the pool all season long. A simple, delicious, and refreshing recipe for Italian Herb Lemonade– easily turned into a summer cocktail with the addition of some spirits. This quick and simple Rosé Summer Sangria is perfect for cooling off in the summer heat. Wow your guests by serving rosé sangria made with fresh berries, rosé wine, and kicked up with white rum at your next party or BBQ. Sparkling Citrus Sangria is made with pineapple juice, ginger ale, gin and few blackberries for extra color pop, perfect for a warm summer afternoon! Don’t settle for the same-old margarita this summer. Fire up the blender, grab some raspberry sorbet and make a Frozen Raspberry Margarita. 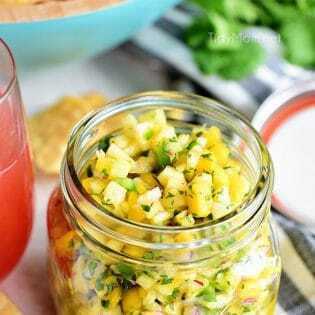 A quick refreshing party cocktail they will love. Is there anything that tastes better than a frozen cocktail on a hot summer day? Well, there may be a few things, but a Frozen Strawberry Basil Margarita is right up towards the top of that list! Red White & Blue Daiquiri is the perfect patriotic cocktail to serve at all your summer celebrations. 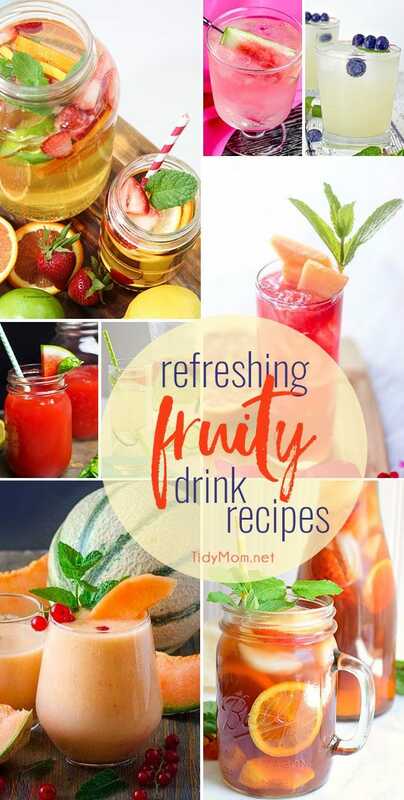 Don’t miss the optional mocktail recipe so the kiddos aren’t left out. Strawberry Basil Moscow Mule is the perfect summer sip with fresh strawberries and basil muddled into a traditional Moscow Mule. It’s the best cocktail out there for Summer and you should probably be drinking one over the weekend. This amazing Watermelon Coconut Rum Punch is the quintessential summer cocktail! This simple rum punch recipe comes together in minutes, making it perfect for sipping poolside or serving at your next summer soiree. 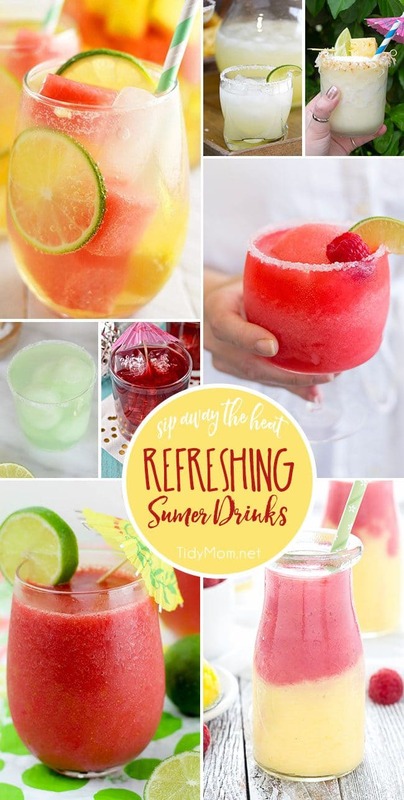 Refreshing Fruity drink recipes perfect for summer entertaining. This is week 415 (8 years) of hosting this I’m Lovin’ It linky party. Each week I feature some of the posts that caught my eye from the previous week. Please take a moment to visit the featured blogs ……..then scroll down to see what’s being shared this week. Hi Cheryl, this new system of linking up is not as user friendly as the last one. Took me forever to add links tonight and I think you might have duplicates from me. thanks Lois, I’m not too happy with it either – I’ll go back to the old one next week! Thank you for hosting! I had problems linking up and I hope both my recipes show! thanks Jen, I’m not too happy with it either – I’ll go back to the old one next week! As always, you make my day. Thanks for sharing my daiquiri. Hope you have a great holiday weekend!